Decades ago, Faber-Castell began offering mechanical pencils in this balanced cigar shape. It became such a popular design, they extended their offering to fountain pens, rollerballs and ballpoints as well. 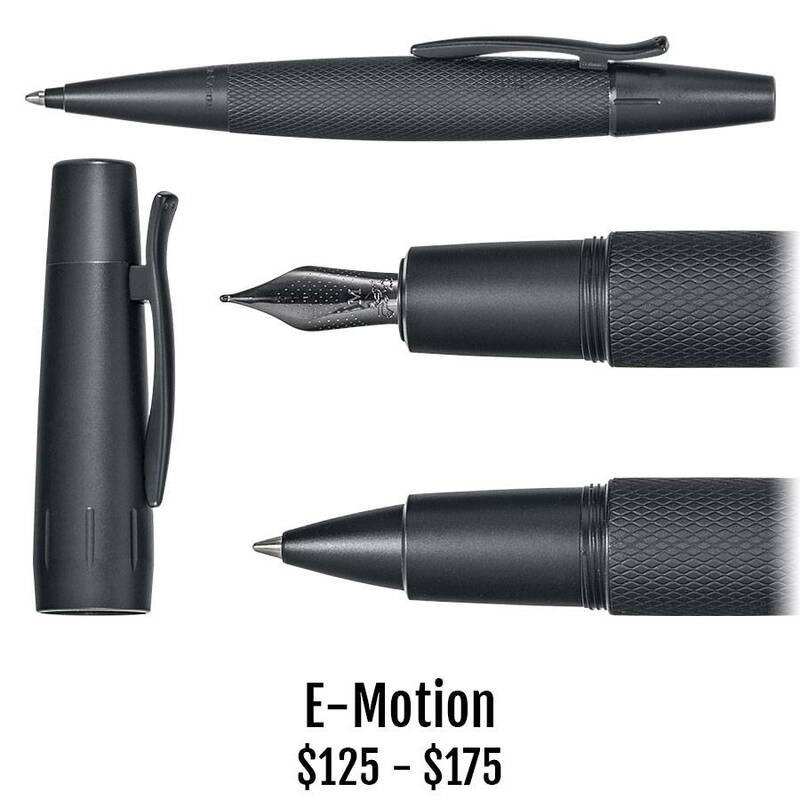 The E-Motion Pure Black collection has every writing option so you can create your own matching set of favorite modes in serious, black anodized aluminum. The knurled barrel and smooth grip and top give each writer a balanced feel and appearance.